The findings of a Tribunal evaluating the performance of the suspended Director and Acting Director of the National Prosecution Office (N.P.O) will play a key role in determining the future of the Office. 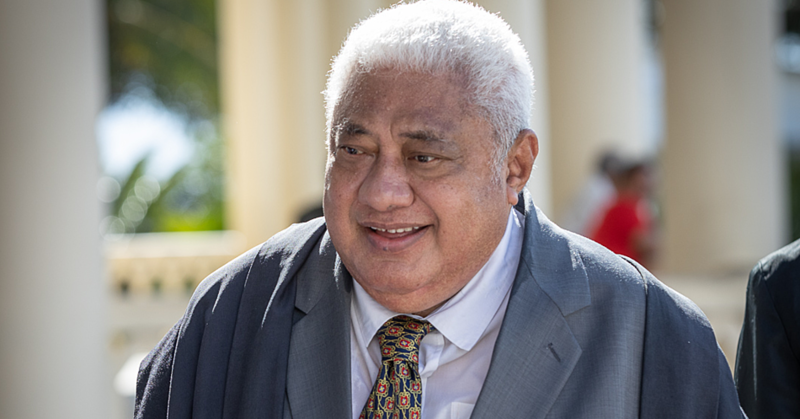 While Prime Minister Tuilaepa Sa’ilele Malielegaoi has been reluctant to say whether the Office would eventually be “abolished,” it has been confirmed that the Tribunal is reviewing the “validity” of its existence. 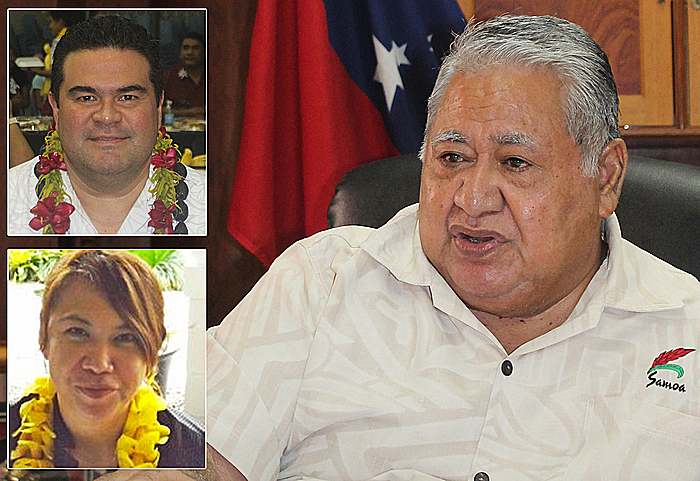 The Tribunal includes Justice Grant Hammond, former Justice of the High Court of Samoa; Tuiloma Neroni Slade, former Attorney General of Samoa; and the President of the Samoa Law Society, Savalenoa Mareva Betham-Annandale. They are due to report back to the Prime Minister, who is also the Minister responsible for the N.P.O. The N.P.O, established in June last year, is headed by suspended Director, Mauga Precious Chang. The Acting Director, Muriel Lui, has also been suspended. Asked if the government would abolish the N.P.O, Tuilaepa told the government-owned Savali Newspaper that the answer is not straightforward. The government agencies in question include the Office of the Attorney General, the Police and the N.P.O. “The N.P.O has a clear responsibility to uphold the rule of law and objectivity of the criminal justice system,” Tuilaepa said. Two weeks ago when Cabinet suspended the Acting Director of the N.P.O, the prosecutorial duties previously performed by the N.P.O were handed over to the Office of the Attorney General immediately. 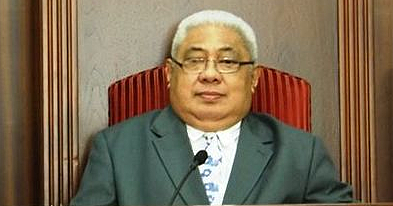 “The N.P.O is not currently under the AG,” Tuilaepa clarified. “It just happens that the N.P.O's new Acting Director is the Attorney General (Lemalu Herman Retzlaff). The N.P.O itself is still fulfilling its statutory functions and obligations. “This is a temporary measure while a Tribunal, which has now been appointed, assesses the work of the suspended Director and suspended Acting Director of the N.P.O. In the meantime, Mauga has pleaded not guilty to charges of negligent driving causing injury, dangerous driving and failing to stop to ascertain in relation to a traffic incident. In a statement from Cabinet confirming Ms. Lui’s suspension, it said: “Cabinet has noted the continued refusal of the suspended Acting Director of N.P.O and suspended Director of N.P.O to properly perform powers and duties to uphold the rule of law and objectivity of the criminal justice system. Asked about claims Cabinet is taking sides with the Office of the A.G., Tuilaepa said: “The AG's job is to give advice to government. Advice is also sought from other government agencies, including the N.P.O. “Cabinet then takes all information in to consideration and makes a decision. At the end of June last year, the announcement was made the Criminal Prosecutions Division of the Attorney General’s Office would become the independent N.P.O. In late 2014 legal consultants from the Commonwealth Secretariat were deployed to consider the need for a N.P.O. They sought opinions from various members of the public sector, the judiciary and the Sāmoa Law Society. All wholly approved and supported the initiative. 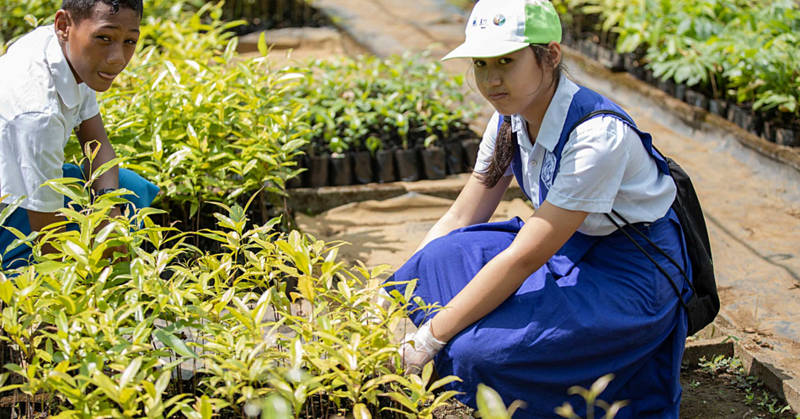 In December 2014, upon the submission of a public proposal and policy, Cabinet endorsed the initiative.